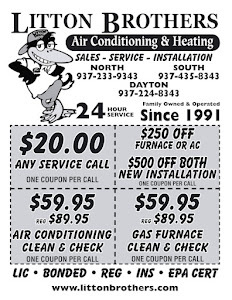 Does your air conditioning system need serviced and can't find any company in the Dayton area to come out for less than $100 ... or even more? Then call Litton Brothers Air Conditioning & Heating! 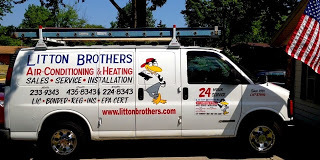 Not only has Litton Brothers been serving the Miami Valley for over 22 years with top quality service (A-plus rating and ZERO complaints with the Better Business Bureau), as well as providing the very best products on the market (Rheem), but they also have the best pricing among all major area HVAC contracting companies. In fact, Litton Brothers is offering a huge deal on all service calls — just $20! NOT A TYPO ... $20 on ALL service calls! Great service, great expertise, great products, and incredible pricing, that's what you'll receive with Litton Brothers Air Conditioning & Heating. Also, Litton Brothers and Rheem have teamed up to offer customers $1,500 off qualifying equipment, while supplies last. 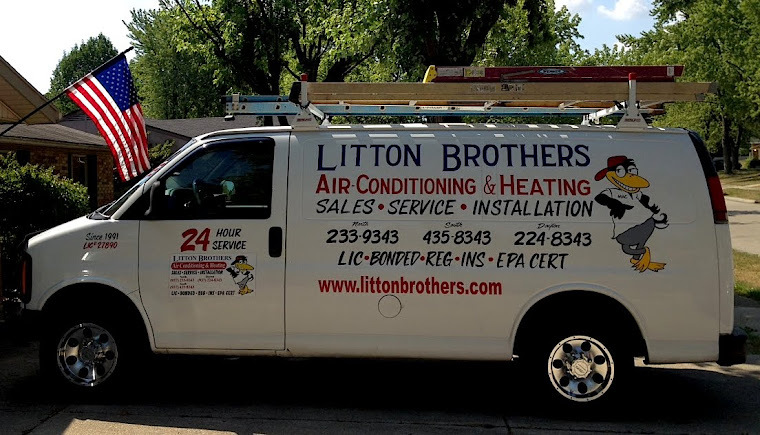 Whether you are residential, commercial, interested in upgrading your system or just looking for a service call, Litton Brothers is ready to serve you!